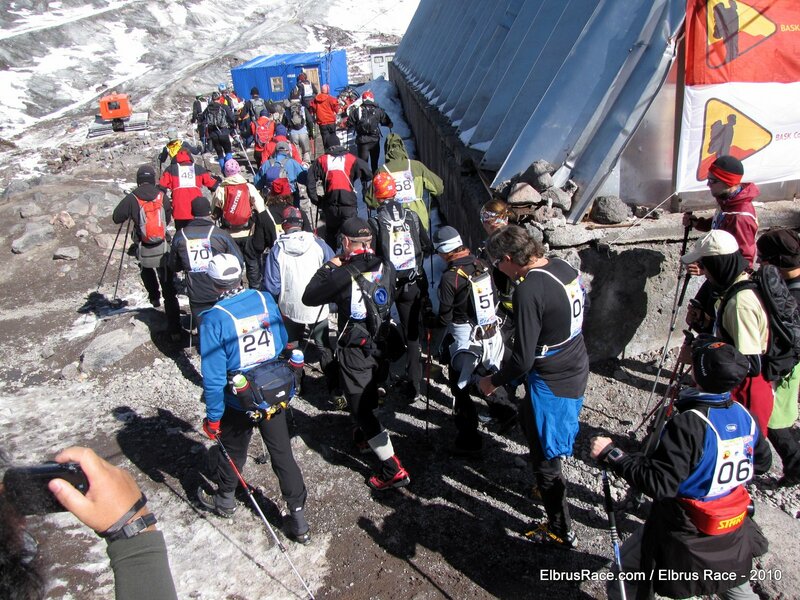 VI International Elbrus Race took place September 24, 2010. In the sixth time (beginning from 2005) the strongest athletes met to compete in the speed climb to highest top of Caucasus and Europe. 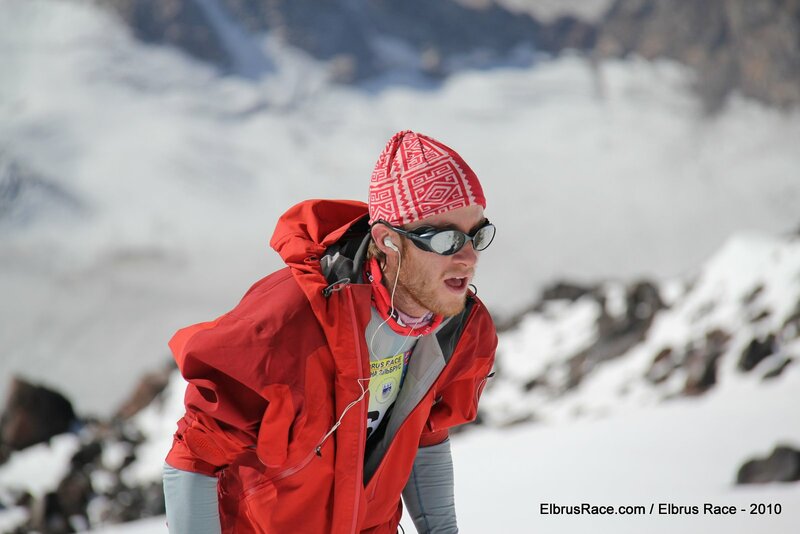 The competition is in two classes: Extreme class route runs from the very bottom of the Mount Elbrus, Azau (2400 m) to the highest point – Western top (5642 m). The route length is about 13 km, altitude difference more than 3 km. It’s why this competition is unique: there’re no other mountain race with such altitude difference. Only the most experienced athletes run this route. Others run the Classic route. It begins from Barrels (3700 m) near the upper station of Elbrus Cable Car. The finish is also on the Western top. Two days before the Elbrus Race athletes have to run the short distance between Barrels and Pastukhov rocks in not more than 2 hrs. This is the “pass” to Elbrus Race. 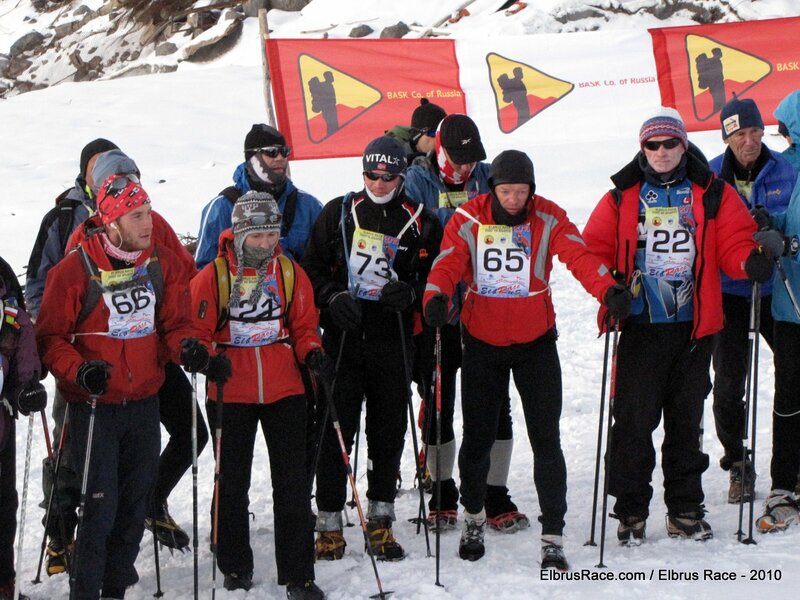 Experienced Elbrus guides - Race Marshals - are on their positions on the route. They’re mountaineers able not only to stay on the top for a long time, but to help racers if the weather turned bad surprisingly. This year athletes from Russia, Ukraine, Kazakhstan, Azerbaijan, Poland, USA and Indonesia participated in VI International Elbrus Race. Polish team led by well-known Himalaist Artur Hajzer, made the impression of highly trained and strongly motivated athletes, who hoped for a victory. In the 70-80s Polish mountaineering was powerfully developed, strong teams made the great bold ascents in the Himalayas and the Hindukush. It was the Poles conquered the first 7 eightthousanders in the winter, which was a great achievement. Artur now wants to build a young team, capable of climbing in the same experience level. 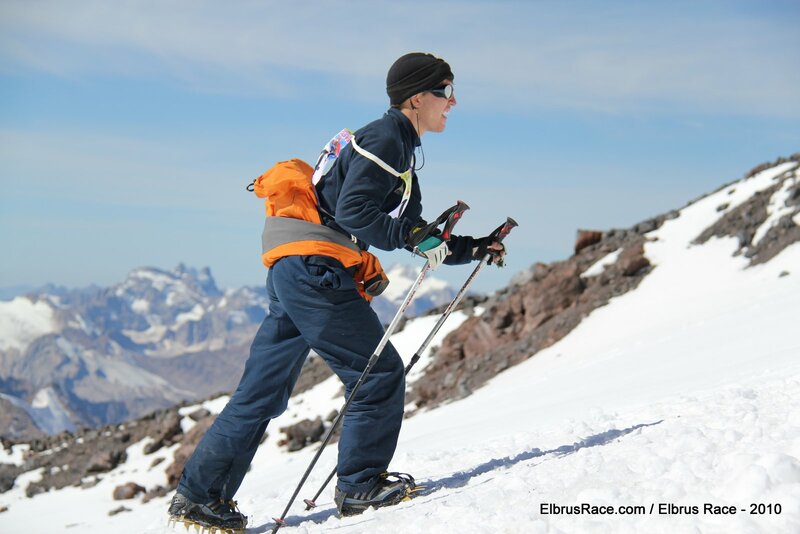 The competitions on Elbrus he regards as one of the possibilities of testing of athletes endurance - here the high altitude, cold, wind and the over -fatique together formed the conditions, which are close to the hard work in the high mountains. The young Pole Andrzej Bargiel (22) became the Champion on Extreme route. His time is 3 hrs 23 min 37 sec. 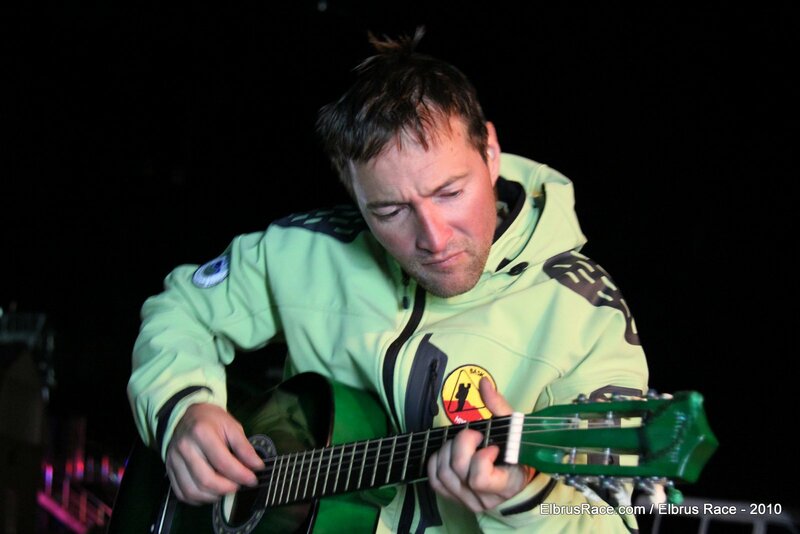 He managed more than half an hour to improve the previous world record set by Kazakh Denis Urubko in 2006 (3 h 55 m 59 s). 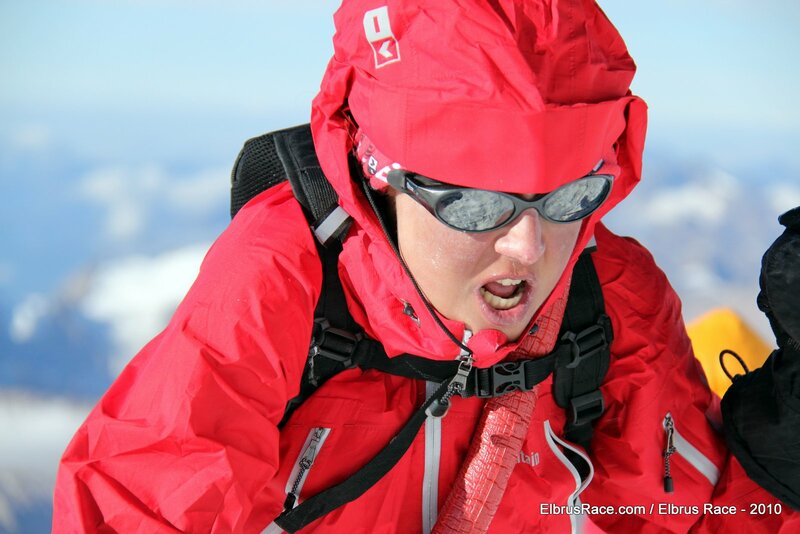 Girls run Extreme route for the first time in Elbrus history. Two bold girls – Maria Khitrikova (UKR) and Aleksandra Dzik (POL). Aleksandra (Ola) became the Champion and set the first women record on that Elbrus route: 5 hrs 04 min 41 sec! 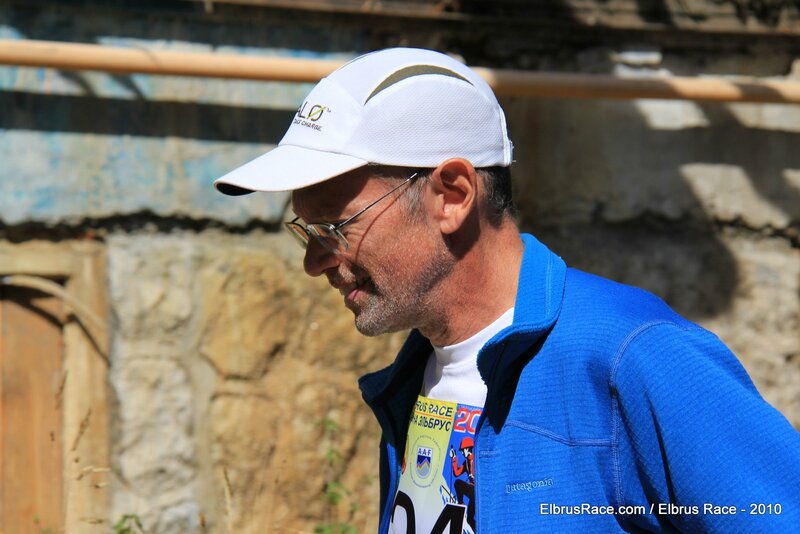 On Classic route Kazakh Andrew Puchinin was first with the time 2 hrs 34 min 33 sec. He improved his 2006 result on about 12 min! 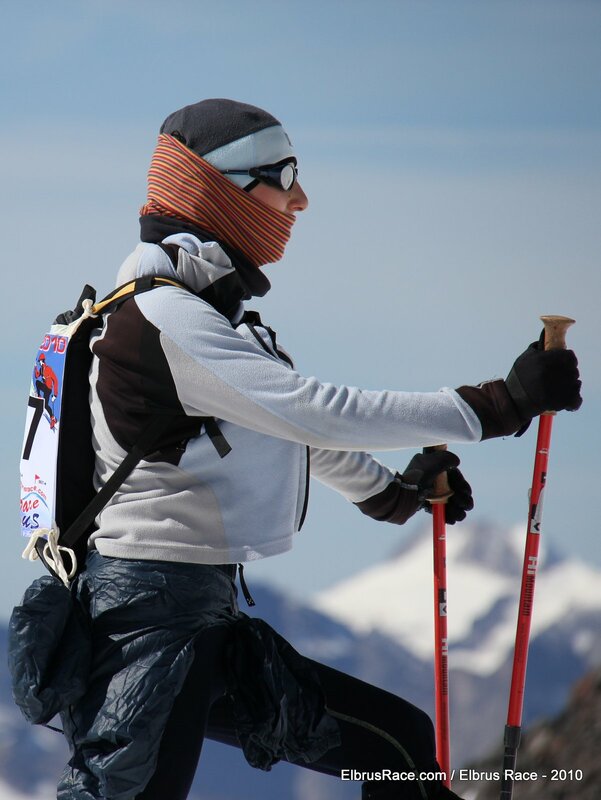 Russian Oksana Stefanishina (from Sochi) won on Classic route between women. Herresultis 3 hrs 22 min 01 sec. Less than the minute divides her result from Svetlana Sharipova (KAZ), who set her record in 2006. But Elbrus is not a racetrack on the stadium. Here’re factors specified for high mountains. The strong wind, for example. In the calm day all results could be better. This year organizers were obliged to postpone the Race from Sep, 23 to the next day because of the bad weather. 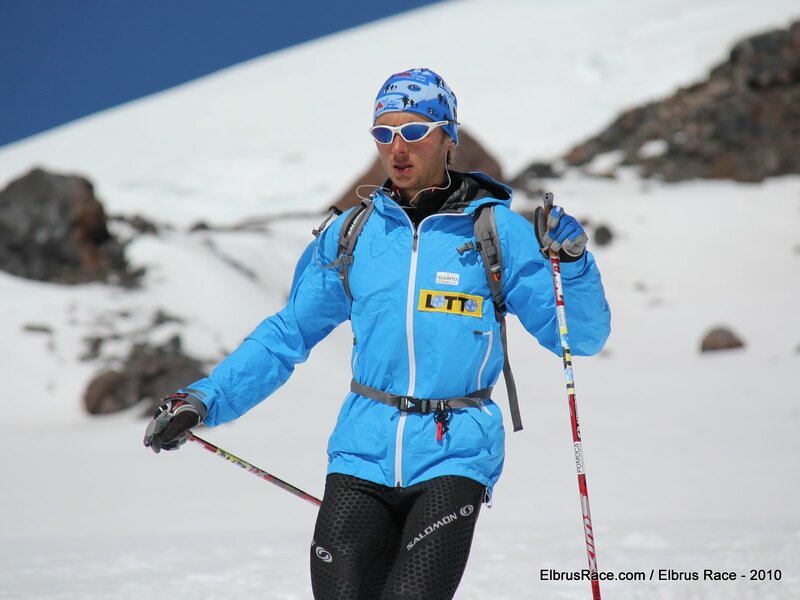 It was rain on Azau, and real snowstorm on 5000 m. Sep, 24 we managed to provide Elbrus Race in spite of the wind. The news about the great results of Poles on Sep, 24 Race had immediately spread through Baksan Valley. Elbrus is the symbol for the locals. It’s a sign of purity, strength, and greatness of the spirit. And those, who could climb to the top in such fantastic short time, are especially respected on Caucasus. 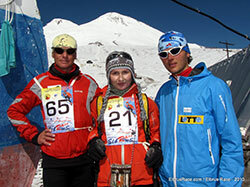 In the sixth time Top Sport Travel (www.sklon.ru) and www.Russianclimb.com organized International Elbrus Race. Athletes from many countries took place in those competitions : Russia, Kazakhstan, Kyrgyzstan, Bulgaria, Slovakia, Poland, Indonesia, Belorussia, Italy, USA, India, Germany. The competitions are supported by the Ministry of Sport and tourism of Kabardino-Balkaria, the Mountaineering Federations of Kabardino-Balkaria, Saint Petersburg, Moscow, Krasnoyarsk, Kazakhstan. Partners are Elbrus Cable Car, Barrels, Elba hotel. 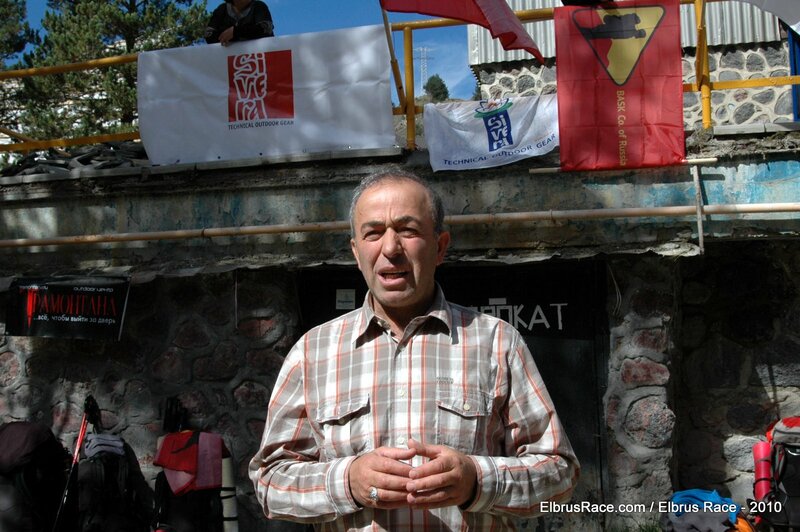 Azerbaijan Alpinism Federation (www.aaf.az) is the General Partner of VI International Elbrus Race. 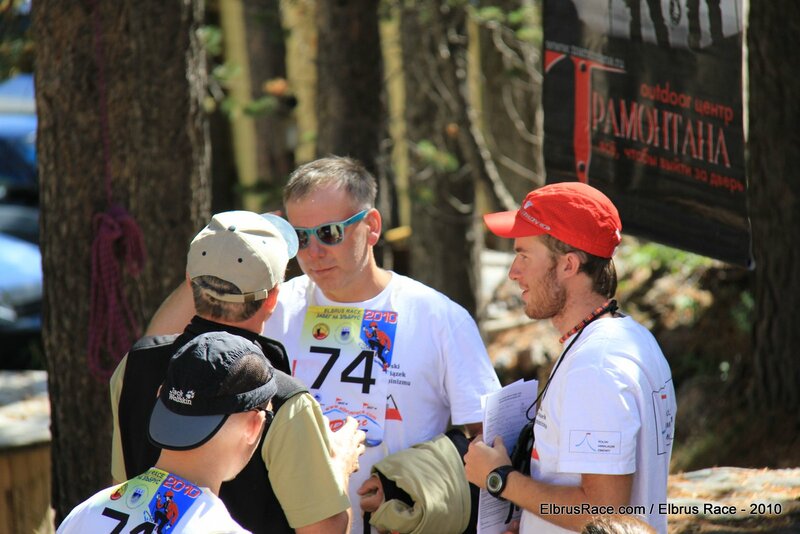 BASK-company (www.bask-company.ru) is the General Sponsor of VI International Elbrus Race.